New British citizen passports were introduced from 30 March 2019 that removed all references to the European Union as part of Brexit planning by the Home Office so that they are now identical in design to the British National (Overseas) passport depicted. Visa requirements for British citizens are administrative entry restrictions by the authorities of other states placed on citizens of the United Kingdom. As of 26 March 2019, British citizens had visa-free or visa on arrival access to 185 countries and territories, ranking the British passport 5th in terms of travel freedom (tied with Austrian, Dutch, Norwegian, Portuguese and Swiss passports) according to the Henley Passport Index. Additionally, the World Tourism Organisation also published a report on 15 January 2016 ranking the British passport 1st in the world (tied with Denmark, Finland, Germany, Italy, Luxembourg and Singapore) in terms of travel freedom, with a mobility index of 160 (out of 215 with no visa weighted by 1, visa on arrival weighted by 0.7, eVisa by 0.5, and traditional visa weighted by 0). Visa requirements for British citizens were lifted by some European nations following World War II. The first changes occurred in 1947 with visa restrictions for British citizens being removed by France on 1 January 1947. This was then quickly followed by Belgium on 15 February 1947, Luxembourg 15 February 1947, Norway on 1 March 1947, Denmark on 22 March 1947, Sweden on 1 April 1947, Netherlands on 15 April 1947, Switzerland on 24 June 1947 Liechtenstein on 24 June 1947 and Iceland on 1 July 1947. Electronic visas for British citizens were introduced: India (15 August 2015) and Djibouti (18 February 2018). Visas on arrival were discontinued for British citizens by Mali (March 2015) and Malawi (1 October 2015) (was resumed). If granted, eVisitor allows British citizens to stay in Australia for 90 days per visit. Issued free of charge and valid for one year. Extendable up to eight months. Visas can be issued on arrival for a stay up to 3 months. eVisa issued for 14 days, extendable once. Visas are also issued on arrival at the Minsk International Airport if the support documents were submitted by inviting organisation/person not later than 3 business days before expected date of arrival. Visa and police registration required for stays of more than 5 days. 90 days within any 6-month period. Extendable for another 30 days. Extendable up to 180-days stay within a one-year period. Visa on arrival for 30 days at Erbil and Sulaymaniyah airports. Can also be entered on an East Africa Tourist Visa issued by Rwanda or Uganda. Must register with the local police station (either through a tourist organisation or at hotel reception) within 24 hours of arrival. eVisa available for both tourism (allowed stay is 28 days) or business purposes (allowed stay is 70 days). Can also be entered on an East Africa Tourist Visa issued by Kenya or Uganda. Extension of stay possible for additional 11 months. British citizens are allowed to extend their stay twice when in the country to a maximum stay of 90 days in total. Visa not required for citizens born in Syria. If not arriving by air, British citizens are only permitted two visits per year. Visa on arrival is only available at the Presidente Nicolau Lobato International Airport or at the Dili Sea Port. Can also be entered on an East Africa Tourist Visa issued by Kenya or Rwanda. ESTA required if arriving by air or cruise ship, which is valid for 2 years. A single entry eVisa valid for 30 days is also available. Visa exemption extended until June 2021. A single tourist visa for British citizens is issued for a maximum stay of 60 days from arrival into Yemen. British citizens are eligible for a universal visa allowing access to Zimbabwe. British citizens are also eligible for a universal visa allowing access to Zambia. British citizens with a connection to the territory have right of abode. The initial visitor's permit is valid for 4 weeks. Visitors who have a connection with the Falkland Islands have right of abode. British citizens have right of abode in the Bailiwick of Guernsey. In Guernsey and Sark, a work or employment permit is not required. In Alderney, a work or employment permit is required for persons without Guernsey (Alderney) status. Work or employment permit is required for persons without "Isle of Man worker" status. Work or employment permit is not required. British citizens have right of abode in Gibraltar. The entry permit costs £25 and is issued on arrival. Permission to land required: £15 for ship and £30 for yacht passengers for Tristan da Cunha Island; £20 for Gough Island, Inaccessible Island or Nightingale Islands unless there is a connection with Tristan da Cunha, in which case right of abode. Pre-arrival permit from the Commissioner required (72 hours/1 month for £110/160). Artsakh Visa required Visa required (issued for single entry for 21 days/1/2/3 months or multiple entry visa for 1/2/3 months). Travellers with Artsakh visa (expired or valid) or evidence of travel to Artsakh (stamps) will be permanently denied entry to Azerbaijan. Crimea Visa required Visa issued by Russia is required. If traveling from mainland Ukraine, special permit issued by Ukrainian authorities is required. Ukraine will deny entry to anyone in case of evidence they have entered occupied Crimea from Russia bypassing mainland Ukraine after March 2014. Turkish Republic of Northern Cyprus Visa not required Visa free access for 3 months. Passport required. Svalbard of Norway Visa not Required Unlimited Stay (Indefinite Stay). Russia Special authorisation required Several closed cities require special authorisation. South Ossetia Visa not required Visa free. Multiple entry visa to Russia and three-day prior notification are required to enter South Ossetia. Transnistria Visa not required Visa free. Registration required after 24h. Eritrea outside Asmara Travel permit required Visa covers Asmara only; to travel in the rest of the country, a Travel Permit for Foreigners is required (20 Eritrean nakfa). Mayotte Freedom of Movement Valid ID or Passport Required. Reunion Freedom of Movement Valid ID or Passport Required. Sahrawi Arab Democratic Republic Visa not required Visa not required up to 3 months in the Western Sahara controlled territory. Somaliland Visa on arrival Visa issued on arrival (30 days for 30 US dollars, payable on arrival). Hainan Visa on arrival Visa on arrival for 15 days. Available at Haikou Meilan International Airport and Sanya Phoenix International Airport. Hong Kong Visa not required Visa not required for 180 days. Prior to April 1997, British citizens were allowed to land and remain in Hong Kong for 12 months without being subject to any other condition of stay. Gorno-Badakhshan Autonomous Province OVIR permit required OVIR permit required (15+5 Tajikistani Somoni) and another special permit (free of charge) is required for Lake Sarez. Turkmenistan Special permit required A special permit, issued prior to arrival by the Ministry of Foreign Affairs, is required if visiting the following places: Atamurat, Cheleken, Dashoguz, Serakhs and Serhetabat. Phú Quốc Visa not required May visit without a visa for up to 30 days. Aruba Visa not required Visa not required for 30 days, extendable to 180 days. Curaçao Visa not required Visa not required for 3 months. French West Indies Visa not required French West Indies refers to Martinique, Guadeloupe, Saint Martin and Saint Barthélemy. Puerto Rico Visa not required Visa not required under the Visa Waiver Program, for 90 days on arrival from overseas for 2 years. ESTA required. Saint Pierre and Miquelon Visa not required Visa not required for 90 days. Sint Maarten Visa not required Visa not required for 3 months. U.S. Virgin Islands Visa not required Visa not required under the Visa Waiver Program, for 90 days on arrival from overseas for 2 years. ESTA required. Cook Islands Visa not required Visa free access for 31 days. French Polynesia Visa not required Visa not required. New Caledonia Visa not required Visa not required for 3 months. Niue Visa on arrival Visa on arrival valid for 30 days is issued free of charge. Wallis and Futuna Visa not required Visa not required. Antarctica Special authorisation required Special permits required for French Southern and Antarctic Lands, Argentine Antarctica, Australian Antarctic Territory, Chilean Antarctic Territory, Heard Island and McDonald Islands, Peter I Island, Queen Maud Land, Ross Dependency. 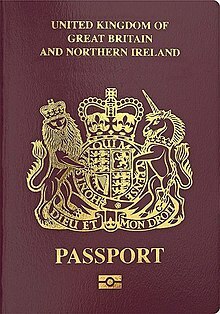 Holders of various categories of official British passports have additional visa-free access to the following countries - China (diplomatic passports), Kuwait (diplomatic or official passports), Mongolia (diplomatic or official passports), Qatar (diplomatic or official passports and British Diplomatic Messenger or Queen's Messenger Passports) and the United Arab Emirates (diplomatic or official passports). Holders of diplomatic or service passports of any country have visa-free access to Cape Verde, Ethiopia, Mali and Zimbabwe. Holders of British official and diplomatic passports require a visa for South Africa. Currently, when in a non-EU country where there is no British embassy, British citizens, like all other EU citizens, have the right to get consular protection from the embassy of any other EU country present in that country. See also List of diplomatic missions of the United Kingdom. On 23 June 2016, the British electorate voted to leave the European Union in a nationwide referendum. In March 2017, the UK sent notification of their intention to leave the EU to the European Council through Article 50 of the Lisbon Treaty. British citizens will cease to be EU citizens upon the UK's departure from the EU. British citizens will still have the right of freedom of movement until the UK formally leaves. From January 2021, visa-exempt third country nationals who travel to the EU and EEA (except Ireland) must apply and pay for travel authorisation through ETIAS.. This system was decided on 12 September 2018 and contains no exception for British citizens. ^ a b c d e f g h i j k l m n o p Counting only guests in tourist accommodation establishments. ^ a b c d e Data for arrivals by air only. ^ "Global Ranking - Visa Passport Index 2019" (PDF). Henley & Partners. Retrieved 30 March 2019. ^ a b "UK Treaties Online". ^ Austria abolished the visa requirement for British citizens on 1 August 1927  but this was reversed after the Anschluss in 1938. ^ Robinson, by Richard (22 August 1997). "Bulgaria: How I lost my heart to Sofia" – via The Daily Telegraph. ^ "Serbia and Montenegro Travel Visa Requirements". travelvisas.eu. ^ "AGREEMENT between the European Community and Ukraine on the facilitation of the issuance of visas" (PDF). 18 December 2007. Retrieved 18 February 2018. ^ "Commission proposes visa-free travel for Georgia". ^ "Finally, visa-free entry to Indonesia (TTG Asia)". Archived from the original on 30 July 2017. Retrieved 30 July 2017. ^ "Uzbekistan to offer visa-free travel for 45 countries – including the UK". 7 January 2019. ^ Porter, Lizzie (5 February 2016). "Indian tourist visas: e-visa scheme extended to British travellers". The Telegraph – via The Daily Telegraph. ^ "Entry requirements - Afghanistan travel advice". Government of the United Kingdom. Retrieved 13 July 2017. ^ "Entry requirements - Algeria travel advice". Government of the United Kingdom. Retrieved 13 July 2017. ^ "Entry requirements - Angola travel advice". Government of the United Kingdom. Retrieved 13 July 2017. ^ "Entry requirements - Antigua and Barbuda travel advice". Government of the United Kingdom. Retrieved 13 July 2017. ^ "Entry requirements - Argentina travel advice". Government of the United Kingdom. Retrieved 13 July 2017. ^ "Travelling to Argentina | Londres". Clond.mrecic.gov.ar. Retrieved 13 July 2017. ^ "Visa - Embassy of Armenia to the United Kingdom". Uk.mfa.am. Retrieved 13 July 2017. ^ "Entry requirements - Bahamas travel advice". Government of the United Kingdom. Retrieved 13 July 2017. ^ "Consular Information". Bahamashclondon.net. Archived from the original on 1 July 2017. Retrieved 13 July 2017. ^ "Frequently Asked Questions". Bahamashclondon.net. Archived from the original on 30 June 2017. Retrieved 13 July 2017. ^ "Entry requirements - Bahrain travel advice". Government of the United Kingdom. Retrieved 13 July 2017. ^ "Bahrain Electronic Visa Service". Evisa.gov.bh. Retrieved 13 July 2017. ^ "Bangladesh High Commission, London". Bhclondon.org.uk. Retrieved 13 July 2017. ^ Visa on arrival (14 February 2014). "Visa on arrival – Embassy of Bangladesh". Bangladoot.se. Retrieved 13 July 2017. ^ "Entry requirements - Barbados travel advice". Government of the United Kingdom. Retrieved 13 July 2017. ^ "Ministry of Foreign Affairs and Foreign Trade". Foreign.gov.bb. Retrieved 13 July 2017. ^ a b "Entry requirements - Belarus travel advice". Government of the United Kingdom. Retrieved 13 July 2017. ^ "Particulars of issuance of entry visas at the "National Airport Minsk" - Ministry of Foreign Affairs of the Republic of Belarus". Mfa.gov.by. Retrieved 13 July 2017. ^ "Entry requirements - Belize travel advice". Government of the United Kingdom. Retrieved 13 July 2017. ^ "eVisa application of Benin". Government of Benin. Retrieved 13 May 2018. ^ "Entry requirements - Bhutan travel advice". Government of the United Kingdom. ^ "Association of Bhutanese Tour Operators - ABTO". abto.org.bt. ^ "Tourism Council of Bhutan (Official Website) - Tourism Council of Bhutan (Official Website)". tourism.gov.bt. ^ "Entry requirements - Bolivia travel advice". Government of the United Kingdom. ^ "Entry requirements - Brazil travel advice". Government of the United Kingdom. ^ "Entry requirements - Brunei travel advice". Government of the United Kingdom. ^ "Page Not Found" (PDF). evisa.gov.kh. ^ "eVisa Kingdom of Cambodia (Official Government Website)". evisa.gov.kh. ^ "Electronic Travel Authorization (eTA) - Canada.ca". canada.ca. 15 April 2015. ^ Canada, Immigration, Refugees and Citizenship (17 May 2013). "Entry requirements by country - Canada.ca". canada.ca. ^ "Central African Republic travel advice". Government of the United Kingdom. ^ "Entry requirements - Chile travel advice". Government of the United Kingdom. ^ "Chinese Embassy and Consulates in the UK to Issue Two-year Multi-entry Visas to British Nationals". chinese-embassy.org.uk. Retrieved 27 August 2016. ^ "Entry requirements - Colombia travel advice". Government of the United Kingdom. ^ "- Consulado de Colombia en Londres". londres.consulado.gov.co. ^ "Entry requirements - Congo travel advice". Government of the United Kingdom. ^ "Entry requirements - Democratic Republic of the Congo travel advice". Government of the United Kingdom. ^ "Entry requirements - Costa Rica travel advice". Government of the United Kingdom. ^ "Energie – SNEDAI GROUPE". snedai.com. ^ "Entry requirements - Ecuador travel advice". Government of the United Kingdom. ^ "Egypt e-Visa Portal". Ministry of Interior. Retrieved 3 December 2017. ^ "Entry requirements - Equatorial Guinea travel advice". Government of the United Kingdom. ^ "Entry requirements - Eritrea travel advice". Government of the United Kingdom. ^ "Entry requirements - Ghana travel advice". Government of the United Kingdom. ^ "Entry requirements - Guinea travel advice". Government of the United Kingdom. ^ "Entry requirements - Indonesia travel advice". Government of the United Kingdom. 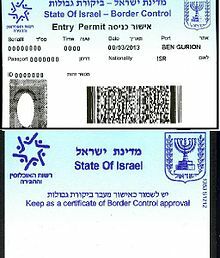 ^ "Visa Exemption - Immigration Checkpoint". Ditjen Imigrasi Republik Indonesia. ^ "Jordan axes visa fee to encourage tourists". Archived from the original on 8 May 2015. Retrieved 14 May 2015. ^ a b c "T12-East Africa Tourist Visa". migration.gov.rw. ^ "Entry requirements - Korea, DPR (North Korea) travel advice". Government of the United Kingdom. ^ a b "Entry requirements - Kyrgyzstan travel advice". Government of the United Kingdom. ^ "Visa regulations - Kyrgyz Embassy to the UK". ^ "Entry requirements - Liberia travel advice". Government of the United Kingdom. ^ "Entry requirements - Mongolia travel advice". Government of the United Kingdom. ^ "Entry requirements - Montenegro travel advice". Government of the United Kingdom. ^ "Mozambique Government Announces 30-day Tourist Visas now Available at Borders for all Visitors - Mozambican Hotels". mozambicanhotels.com. ^ "Burma travel advice". Government of the United Kingdom. ^ "Entry requirements - Namibia travel advice". Government of the United Kingdom. ^ "Entry requirements - Niger travel advice". Government of the United Kingdom. ^ "Постановление Правительства РФ N 397 О порядке пребывания на территории РФ иностранных граждан и лиц без гражданства, прибывающих в Российскую Федерацию в туристических целях на паромах". Travel.ru. Retrieved 26 December 2016. ^ "Entry requirements - Sierra Leone travel advice". Government of the United Kingdom. ^ "Entry requirements - South Sudan travel advice". Government of the United Kingdom. ^ "How To Extend Short Visit Visa". eta.gov.lk. Department of Immigration (ETA) Sri Lanka. Retrieved 27 November 2015. ^ "Entry requirements - Sudan travel advice". Government of the United Kingdom. ^ "Entry requirements - Syria travel advice". Government of the United Kingdom. ^ "Entry regime to Ukraine for foreign citizens - MFA of Ukraine". mfa.gov.ua. ^ "Visa information - Embassy of Ukraine to the United Kingdom of Great Britain and Northern Ireland". uk.mfa.gov.ua. ^ "Entry requirements - Ukraine travel advice". Government of the United Kingdom. ^ "Entry requirements - Vietnam travel advice". Government of the United Kingdom. ^ "Entry requirements - Vietnam travel advice". ^ "Entry requirements - Yemen travel advice". Government of the United Kingdom. ^ a b "Entry requirements - Zimbabwe travel advice". Government of the United Kingdom. ^ "Entry requirements - Anguilla (British Overseas Territory) travel advice". Government of the United Kingdom. ^ "Entry requirements - Bermuda (British Overseas Territory) travel advice". Government of the United Kingdom. ^ a b "British Antarctic Territory". Government of the United Kingdom. ^ "Entry requirements - British Antarctic Territory travel advice". Government of the United Kingdom. ^ "British Indian Ocean Territory travel advice - Government of the United Kingdom". ^ "Entry requirements - British Indian Ocean Territory travel advice". Government of the United Kingdom. ^ "Entry requirements - British Virgin Islands (British Overseas Territory) travel advice". Government of the United Kingdom. ^ "Entry requirements - Cayman Islands (British Overseas Territory) travel advice". Government of the United Kingdom. ^ "Visit The Falkland Islands - Falklands". falklandislands.com. ^ "Entry requirements - Falkland Islands (British Overseas Territory) travel advice". Government of the United Kingdom. ^ Jersey, States of. "Work permits and working in Jersey". gov.je. ^ a b Countries not requiring a visa, Immigration Department of Montserrat. ^ Haigh, Bill. "Pitcairn Islands". government.pn. ^ "Entry requirements - Pitcairn Island travel advice". Government of the United Kingdom. ^ "Entry requirements - St Helena, Ascension and Tristan da Cunha travel advice". Government of the United Kingdom. ^ Grundy, Richard. "Tristan da Cunha Tourism". tristandc.com. ^ "South Georgia and South Sandwich Islands (British Overseas Territory) travel advice". Government of the United Kingdom. ^ "Entry requirements - South Georgia and South Sandwich Islands (British Overseas Territory) travel advice". Government of the United Kingdom. ^ "Entry requirements - Turks and Caicos Islands (British Overseas Territory) travel advice". Government of the United Kingdom. ^ "The procedure of foreign citizens' entry to the NKR - MFA NKR". nkr.am. ^ "The Office of the Nagorno Karabakh Republic in USA". nkrusa.org. ^ "The Friends of Mount Athos - A Pilgrim's Guide to Mount Athos: Planning Your Visit". athosfriends.org. ^ Ioannis, DATAFON Verginis G. "MOUNT ATHOS INFO, ΑΓΙΟΝ ΟΡΟΣ, BERG ATHOS, OURANOUPOLIS, ΟΥΡΑΝΟΥΠΟΛΗ". mountathosinfos.gr. Archived from the original on 1 December 2007. Retrieved 17 November 2013. ^ "Visa-free travel time up to ten days in parts of Brest Oblast, Grodno Oblast as from 1 January". 26 December 2017. ^ Cyprus, Korinia Estate Agency, North. "Northern Cyprus, Living in North Cyprus, Postal System, Passports and Visa". korinia.com. ^ "How to get to North Cyprus? - Passport, Visa & Entry Requirements". cypnet.co.uk. ^ a b "Entry requirements - Denmark travel advice". Government of the United Kingdom. ^ Crew, Jan Mayen. "JAN MAYEN HOMESITE, EDITED BY THE JAN MAYEN CREW". jan-mayen.no. ^ "Special Categories Exempted From Visa Requirements - For Foreign Citizens - Consular Services - Ministry of Foreign Affairs - Republic of Kosovo". Ministry of Foreign Affairs - Republic of Kosovo. ^ "Kiev declares passport control on border with rebel-held regions". ^ "Luxlana.net". Archived from the original on 22 October 2013. Retrieved 4 August 2015. ^ Splinter, Hans van der. "Ministry of Tourism - Tourism Service Center". eritrea.be. ^ "Entry requirements - Western Sahara travel advice". Government of the United Kingdom. ^ "Changes in Immigration Control on British Citizens". Immigration Department. Archived from the original on 1 October 2000. Retrieved 1 December 2016. ^ "Pamirs - the roof of the world". pamirs.org. ^ "How to get a Tibet Travel Permits - Tibet Visa 2016?". tibettravelplanner.com. ^ "No visa required for tourists to Phu Quoc on short stay - Vietsea Tourist - Travel to Vietnam, Laos, Cambodia and Thailand - Vietnam Travel Tours". vietseatourist.vn. ^ "404 - Page Not Found". travel.state.gov. Archived from the original on 3 December 2013. Retrieved 19 November 2013. ^ a b Travel without a visa, United States Department of State. ^ "Entry requirements - St Pierre & Miquelon travel advice". Government of the United Kingdom. ^ Quintero, Bruno. "Clipperton - Ile de La Passion". clipperton.fr. ^ a b "Entry requirements - French Polynesia travel advice". Government of the United Kingdom. ^ "Entry requirements - Wallis & Futuna Islands travel advice". Government of the United Kingdom. ^ "INFORME DE RENDICIÓN DE CUENTAS 2016 – Consejo de Gobierno de Regimen Especial de Galápagos". gobiernogalapagos.gob.ec. Archived from the original on 21 February 2015. ^ "Accès à l'Antarctique". taaf.fr. ^ "Accès aux Terres australes françaises". taaf.fr. ^ "Accès aux îles Eparses". taaf.fr. ^ "Forms expeditioners must sign". antarctica.gov.au. ^ Division, c=AU;o=Commonwealth of Australia;ou=Department of the Environment and Energy;ou=Australian Antarctic. "Frequently asked questions". heardisland.aq. ^ "The Ministry of Foreign Affairs and Trade acts in the world to make New Zealanders safer and more prosperous". ^ "Home - Consular Protection - European Commission". Consular Protection. ^ Dzankic, Jelena (27 June 2016). "Brexit and citizenship". European Union Democracy Observatory on Citizenship. Archived from the original on 20 August 2016. Retrieved 29 June 2016. ^ "Article 50: The simplest explanation you'll find". BBC Newsbeat. 27 June 2016. Retrieved 29 June 2016. ^ Raparel, Raoul (22 February 2015). "The mechanics of leaving the EU – explaining Article 50". Open Europe. Retrieved 29 June 2016. ^ "Article 50 TEU: Withdrawal of a Member State from the EU" (PDF). EuroParl. European Parliament. February 2016. Retrieved 29 June 2016. ^ "Brexit: No visa-free traveling for Brits if they exit the EU without an agreement". 17 September 2018. ^ "Travel Report - Kuwait". Voyage.gc.ca. 16 November 2012. Retrieved 1 July 2013. ^ "Travel Advice for Libya - Australian Department of Foreign Affairs and Trade". Smartraveller.gov.au. Archived from the original on 22 June 2013. Retrieved 1 July 2013. ^ "Travel Advice for Sudan - Australian Department of Foreign Affairs and Trade". Smartraveller.gov.au. Archived from the original on 5 July 2013. Retrieved 1 July 2013. ^ "Travel Advice for Yemen - Australian Department of Foreign Affairs and Trade". Smartraveller.gov.au. Archived from the original on 20 August 2011. Retrieved 1 July 2013. ^ "China to Start Fingerprinting Foreign Visitors". Air Canada. 31 January 2019. Retrieved 7 July 2018. Effective April 27, 2018, border control authorities at all of China’s ports of entry, including its airports, will start collecting the fingerprints of all foreign visitors aged between 14 and 70. Diplomatic passport holders and beneficiaries of reciprocal agreements are exempted..
^ "Anger as Japan moves to fingerprint foreigners - World". Theage.com.au. 26 October 2007. ^ "Tourism Statistics - IAATO". ^ "Tourism Statistics for Antigua and Barbuda". ^ "Number of Stayover Visitors by Market". ^ "Trade and Media - Holidays in Austria. Travel Information of the Austrian National Tourist Office" (PDF). Austriatourism.com. Archived from the original (PDF) on 14 February 2017. Retrieved 30 May 2017. ^ "Stopovers by Country" (PDF). ^ "Tourism Statistics Annual Report 2015" (PDF). ^ "Demanda Turstica Internacional Slides 2017" (PDF). Retrieved 10 June 2018. ^ "Brunei Darussalam Tourism Report 2011" (PDF). ^ CIDOT. "Welcome to the Cayman Islands Department of Tourism (CIDOT) Destination Statistics Website". ^ "China Inbound Tourism Statistics in 2015". ^ "Visitor Arrivals by Country of Usual Residence". ^ "Informes Estadísticos - Instituto Costarricense de Turismo - ICT". www.ict.go.cr. ^ "Tourism - 4th quarter of 2017 - CZSO". www.czso.cz. ^ "2015 Visitors Statistics Report" (PDF). ^ "BCRD - Estadísticas Económicas". ^ "ACCOMMODATED TOURISTS BY COUNTY AND COUNTRY OF RESIDENCE (MONTHS)". ^ Amitesh. "PROVISIONAL VISITOR ARRIVALS - 2017 - Fiji Bureau of Statistics". www.statsfiji.gov.fj. ^ "Tourism, transport and communication summary" (PDF). ^ "Hellenic Statistical Authority. Non-residents arrivals from abroad 2015". ^ "Video: 2017 Records Over 10,000 More Stayover Visitors Than 2016". 25 January 2018. ^ "Overseas Visitors to Ireland January-December 2012-2015" (PDF). ^ "Monthly Statistics – Jamaica Tourist Board". www.jtbonline.org. ^ "2017 Foreign Visitors & Japanese Departures" (PDF). Japan National Tourism Organization. ^ Administrator. "Visitors by Country of Residence". Archived from the original on 19 March 2016. ^ "TUG02. Visitors staying in hotels and other accommodation establishments by country of residence-PX-Web". ^ "Number of guests and overnights in Lithuanian accommodation establishments. '000. All markets. 2015-2016". ^ "Arrivals by touristic region and country of residence (All types of accommodation) 2011 - 2016". www.statistiques.public.lu. ^ "DSEC - Statistics Database". ^ "TOURIST ARRIVALS TO MALAYSIA BY COUNTRY OF NATIONALITY DECEMBER 2017" (PDF). ^ "Number of visitors by country, 2009" (PDF). ^ "December 2017 - Ministry of Tourism". www.tourism.gov.mv. ^ Carrodeguas, Norfi. "Datatur3 - Visitantes por Nacionalidad". ^ Statistică, Biroul Naţional de (12 February 2018). "// Comunicate de presă". www.statistica.md. Retrieved 17 June 2018. ^ "Tourist arrivals by country of residence" (PDF). ^ "Myanmar Tourism Statistics - Ministry of Hotels and Tourism, Myanmar". ^ "Tourism Statistics 2015 p.34" (PDF). Archived from the original (PDF) on 31 January 2017. ^ "Pakistan Statistical Year Book 2012 - Pakistan Bureau of Statistics". ^ "Immigration / Tourism Statistics - Palau National Government". ^ "in 2016 - tables TABL. III/6. NON-RESIDENTS VISITING POLAND IN 2016 AND THEIR EXPENDITURE" (PDF). ^ a b "Statistics Netherlands". ^ "Entrada de Visitantes/ S. Tomé e Príncipe Ano 2005" (PDF). ^ "Office of the Republic of Serbia, data for 2018" (PDF). Archived (PDF) from the original on 4 April 2018. ^ "Korea, Monthly Statistics of Tourism - key facts on toursim - Tourism Statistics". ^ "Swaziland Tourism - Swaziland Safari - Swaziland Attractions - Useful Links - Research". ^ "Visitor Arrivals by Nationality". ^ Stats, Tonga. "Migration Statistics - Tonga Stats". ^ "T&T – Stopover Arrivals By Main Markets 1995-YTD" (PDF). ^ "DISTRIBUTION OF ARRIVING FOREIGN VISITORS (2016-2018) JANUARY-DECEMBER". ^ "Turks and Caicos sto-over arrivals" (PDF). ^ Dev1. "2016 annual visitor arrivals review" (PDF). ^ "MINISTRY OF TOURISM, WILDLIFE AND ANTIQUITIES SECTOR STATISTICAL ABSTRACT,2014". Archived from the original on 7 May 2016. ^ "Foreign citizens who visited Ukraine in 2017 year, by countries". www.ukrstat.gov.ua.